More homeowners are looking to make changes to their home. They most often start with the bathroom. Back in the day, bathroom fixtures were not made to last. But in the last 25 years or so the top companies like Kohler and American Standard have provide exceptional products at great prices. These toilet bowls are made with vitreous china, which is a durable and long lasting material. The toilet bowls of today offer high performance as well as a way to save you money every time you flush. These companies have engineers and designers who not just offer their customers the most performance but they offer their customers a choice too. They offer different designs, styles and more color choices than ever before. All of these things are offered without the performance of the toilet being compromised. 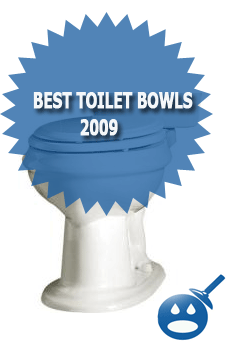 The best toilets bowls of 2009 are the Kohler Highline Two Piece Toilet, the American Standard Standard Collection Elongated Toilet Bowl and the Kohler Devonshire Elongated Toilet Bowl. 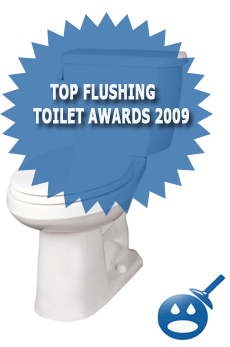 Let’s take a look at why these toilets are considered to be the best of 2009. Kohler offers a wide range of products in their inventory. The Highline Two Piece is one of them. The Highline Series starts with part number K-3611 and is available in different designs. 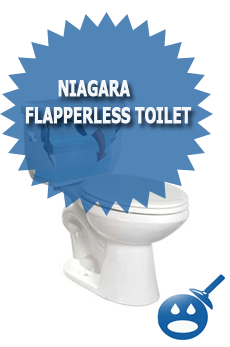 The Highline Series is an Elongated Two Piece Toilet Bowl less toilet seats. The Highline Series comes equipped with the Class Five Flushing System. 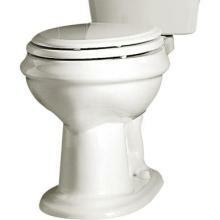 The Kohler Highline Two Piece Toilet is rated for 1.28n gallons per flush or 1.6 gallons per flush. The Highline water area is 11-1/2 inches x 8-3/4″. The toilet comes with a polished chrome tip lever and the toilet is ADA and ASME approved. The Kohler Highline comes in some great colors, Almond. White, Ice Grey, Biscuit and Black. Kohler offers a one-year warranty on all of their toilets. Kohler has been in business since 1873 and their products were well made then and they have continued to honor that tradition. Kohler Toilets are one of the most widely used toilets in the world. You can find Kohler on plumbing fixtures in hotels, office buildings, airports and industrial places as well. Kohler Highline Two Piece Toilet is very affordable. The price is around $199.00. If you shop and compare you may be able to find this toilet for less. American Standard is one of the oldest plumbing fixture companies in the world. American Standard has been a long standing part of American Industry. The company has been in business since 1875 and their dedicated to perfection has not changed. With plumbing fixtures becoming more and more environmentally friendly, American Standard has more than kept up with the times. One of their stand out collections is the American Standard Collection Elongated Toilet Bowl. This Series toilet bowl offers American Standard’s patented Aqua Force Flushing System. This flushing system was designed to help customers conserve water as well as saving money. The Aqua Force System gives the customer a clean and reliable flush every single time. With the Standard Collection Elongated Toilet Bowl you are getting a durable and long lasting toilet made from vitreous china. The recommended tank for this bowl is 439.016. The Standard Collection comes with a 2″ flush valve and a molded wood seat. The seat can be replaced with any of the great seats available from American Standard. The toilet bowl comes in 17 inches, which is the recommended heights standard for toilet bowls. When the bowl is assembled the measurements are 17 inches in width X 20.30 inches in height. The Standard Collection Elongated Toilet Bowl is available at your local Home Depot locations or you can log onto the company website for a dealer near you. 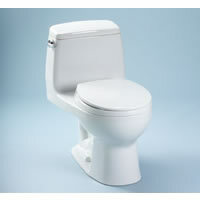 The American Standard Collection Elongated Toilet Bowl is very affordable and is pieced at $161.00. TOTO is one of the largest manufacturers in the world of plumbing products. The company has been in business for over 90 years and counting. One highlight of the TOTO inventory is the TOTO Drake Toilet. The TOTO Drake Close Coupled Round Toilet offers a Chrome Tip Flush Lever and it has a capacity of 1.6 gallon per flush. Most toilets today have this capacity; it saves on water, which will save you money. The TOTO Drake Close Coupled Round Design that uses a 2-1/8″ wide trapway plus a bigger water surface than other bowls. The flush valves are 3″ when other flush valves are 2″. This helps conserve water and not compromise the high performance of the toilet bowl. The price of the Drake Close Coupled Toilet is $ 211.00. This toilet is made with a contemporary flair to it. This toilet is quiet in operation but very powerful. It comes with TOTO’s G Max Flushing System. This flushing system is commercial grade for residential toilets. The Drake Two Piece or Model CST743S comes with the tank, fittings and the Chrome plated trip but the seat is sold separately. The Drake Tow Piece comes in Cotton, Bone, Ebony, Sedona, Beige and Colonial White. The price range will change depending on which color you choose. The more colorful the toilet the more expensive it is. The price ranges from $350.00 to $525.00. Kohler Devonshire Elongated Toilet Bowl comes with their patented Ingenium Flushing System. This flushing system was designed to bring 3.5 gallons per flush design to a more environmentally friendly 1.6 gallons per flush. The Kohler Devonshire Elongated Toilet Bowl is one of the most stylish in the Kohler Series of Toilet Bowls. These designs were inspired from the 1920’s. They would look great in any existing bathroom decor. Either the ADA or the Energy Star Rating System does not rate this toilet bowl. Though it still is a high performance toilet that can and will save you money as well as water. Customers who have purchased the Devonshire have had many compliments about the style and the performance. For example, customers have raved at how easy this toilet bowl was to install. They continued on to say that the simple touch of the flush handle was much nicer than the units they were using before. The Kohler Devonshire Elongated Toilet Bowl is available in both White and Wild Rose. Kohler offers a one-year warranty that starts the date the toilet is installed. You can find the Devonshire at your local Home Depot Store. The price for the Devonshire Elongated Toilet Bowl starts around $110.00. The last in the TOTO Drake Toilet Series is the Eco High Efficiency Toilet Bowl. This toilet uses a mere 1.28-gallon per flush. Like the other Drake Toilets we profiled here, these toilets come with a 3″ flush valve making the flushing system more effective. 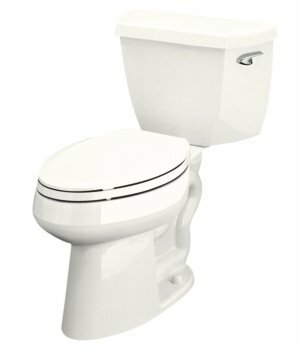 The height of the Eco High Efficiency Two Piece Toilet is 14.63 inches and it has a left side of the toilet gravity flush style lever. 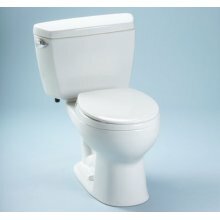 The Drake Eco High Efficiency Two Piece Toilet comes in a strong durable Vitreous China. This toilet comes with a SanaGloss Style and it is designed with an E Max Flush System making flushing accurate and clean every time. The Eco High Efficiency Toilet from TOTO is a floor mounted unit making installation easy. Customers love the technology of the TOTO, with the larger valves and the least amount of gallons per flush without compromising the performance of the toilet. Price ranges from $350.00 to $525.00. The Companies that we have profiled here are some of the best in the industry. Company like TOTO, Kohler and American Standard have been in business for at least 90 years. They have excellent reputations with excellent products. All of these companies offer high performance products with warranties to back them up. Now is a great time to replace your bathroom toilet. These products we profiled offer great gallons per flush, which means more water conservation, and this will mean more savings in your wallet. Any one of these products will last a lifetime; they are all made with vitreous china, which is a strongest material you could use. For more research check out the company websites and see more extensive warranty information and for the nearest location to you.